Last time we discussed a few of the trade shows in which we’ve made appearances like the AHR Expo and the Golf Industry Show. Today we’d like to switch things up a bit and talk about an upcoming show called CONEXPO. CONEXPO focuses on just about every major construction industry you can think of. More than 2,000 exhibitors will be showcasing their products and the latest innovations across 2,500,000 square feet. There will also be plenty of educational sessions on hand focusing on things like lifting, aggregates, asphalt, mining, and more. The show is frequently attended by businesses such as contractors, service providers, and manufacturing, to name a few. We are very proud and excited to represent and exhibit McElroy at this year’s CONEXPO. The show begins on Tuesday, March 7 through Saturday, March 11 at the Las Vegas Convention Center. Show hours are from 9 am to 5 pm Tuesday through Friday and from 9 am to 3 pm on Saturday. Please note that these are Pacific Standard Time hours. 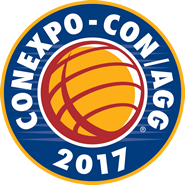 For more information on CONEXPO visit http://www.conexpoconagg.com. We hope to see you there!